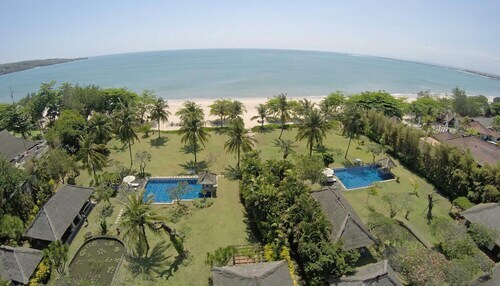 This family-friendly Jimbaran villa is located near the airport, within 1 mi (2 km) of Samasta Lifestyle Village and Jimbaran Beach. Udayana University is 2.2 mi (3.6 km) away. 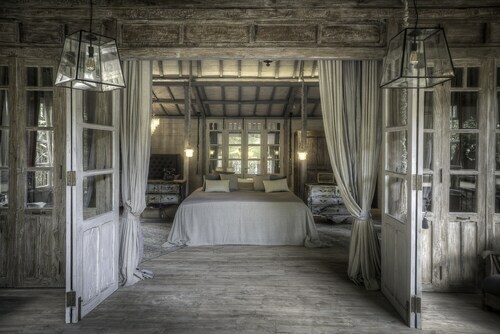 I was only able to stay for one night but loved every minute of it, my room was exactly what I expected, and the setting was just a real gem; private and very pretty. 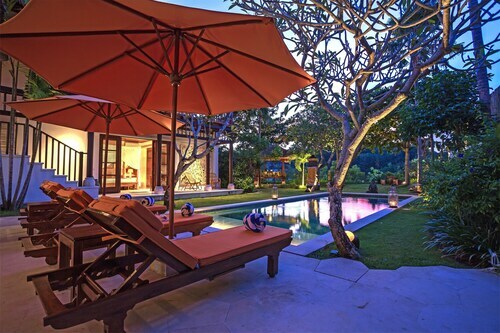 Nestled on the beach, this Jimbaran Bay villa is within 3 mi (5 km) of Jimbaran Beach, Samasta Lifestyle Village, and Udayana University. 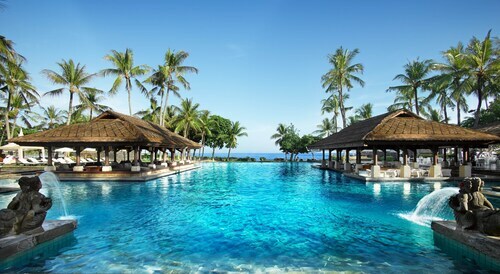 Kuta Beach and Legian Beach are also within 6 mi (10 km). 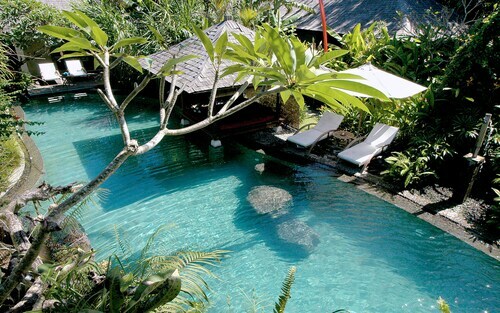 Old style Bali Hotel, with old style Bali hospitality! Excellent! 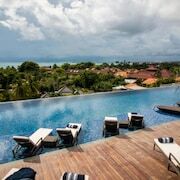 Located in Jimbaran Bay, this hotel is within 3 mi (5 km) of Jimbaran Beach, Samasta Lifestyle Village, and Udayana University. 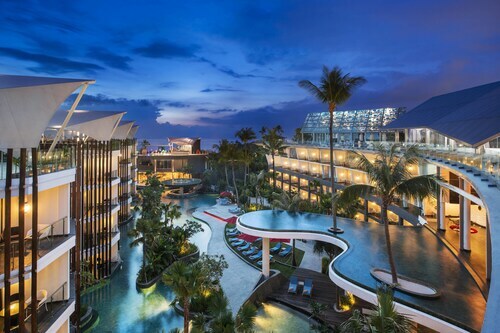 Waterbom Bali and Kuta Beach are also within 6 mi (10 km). Beach is close by. Private pool is fantastic. Staff are so friendly and totally accomodating. Breakfasts are amazing, they come and cook it for you in your own kitchen. This was our first real relaxing holiday. Great idea having an outdoor shower/toilet/bathroom. Staff weren't very experienced so was told different thing by different staff. Food and drinks were very overpriced and poor amount of choice. Love the room size for families and the pool access was fabulous. The hotel is run down and need some work externally. And our room had a constant damp odour but overall we really enjoyed the experience at this hotel. Had a fantastic experience. Loved every minute of our stay. Recommend doing the cooking class. 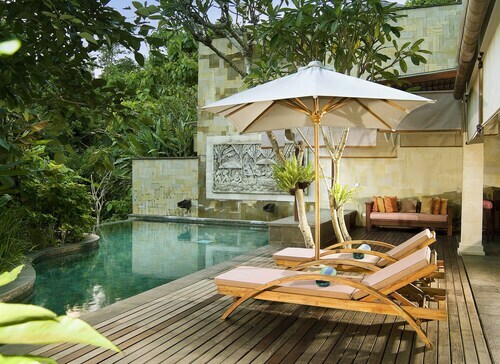 Location, location, location—the mantra is as true in travel as it is in real estate. If you've ever stayed in the boonies, trekked in to see the sights or attend that conference, and trekked out again at the end of a long day or an even longer night, you know exactly what we're talking about. 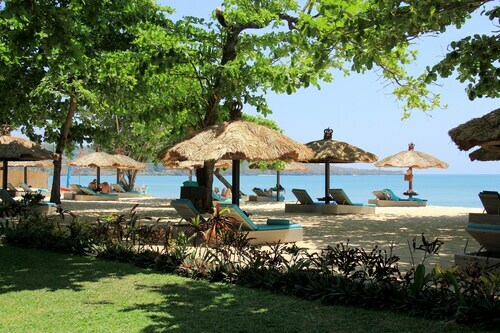 You know that staying in one of the hotels close to Jimbaran Beach will put you in the middle of the action, and that there's no better place to be when you're away from home. Why miss hours of sightseeing or precious sleep while fellow tourists or colleagues live it up in the destination you'd been waiting so long to see? 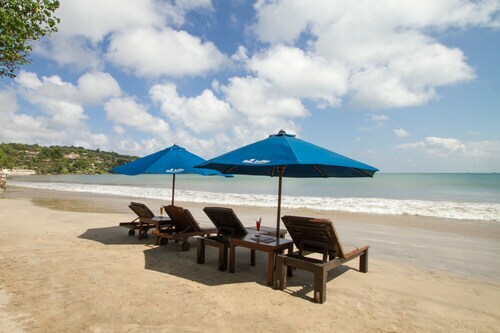 But never fear, dear traveller: Jimbaran Beach accommodation won’t break the bank. 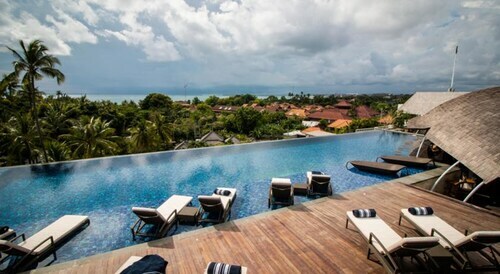 With Wotif bringing you the best deals in travel, you can book accommodation near Jimbaran Beach without blowing your budget, and the money you'll save by snagging that central location at a cheap rate will pay you back in spades. Explore the neighbourhood. Hang with the locals. Let the hotel concierge recommend the best "extras" you denied yourself last time you travelled—that great local restaurant or bar, the expert-guided tour, or the local haunt tourists don't usually know about. 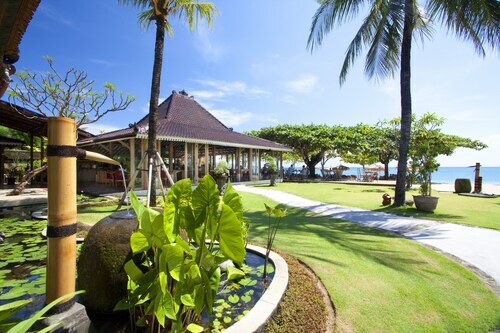 How Much is a Hotel Room in Jimbaran Beach? 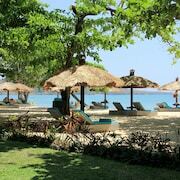 Hotels in Jimbaran Beach start at AU$49 per night. Prices and availability subject to change. Additional terms may apply.